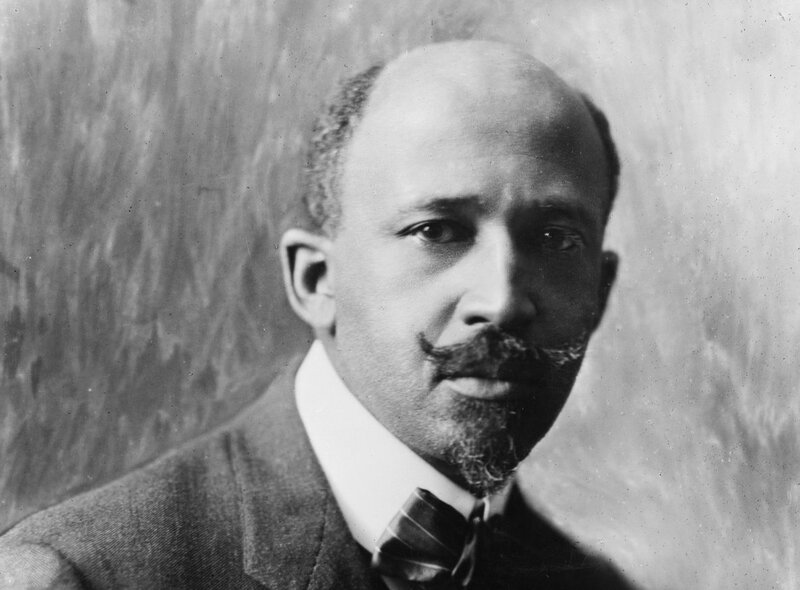 NAACP founder WEB Du Bois wasn't just a committed, effective activist for the rights of black people in America: he was also a prolific author of early 20th century science fiction and fantasy stories. Now, his earliest known short story, "The Princess Steel" (dating from 1908 and 1910) has been discovered and published (in a paywalled journal, despite the story being in the public domain) by Britt Rusert from U Mass and Adrienne Brown from U Chicago. The story's protagonist, Hannibal Johnson, is a black sociologist who uses a "megascope" to look across time and space. He demonstrates his gadget for a honeymooning couple, using it to look from the top of a NYC skyscraper into the fantastic past of Pittsburgh, in which supernatural beings play out an allegory about colonialism and race. It's a critical piece of the history of Afrofuturism, a lineage that stretches forward to such writers as Samuel Delany and Octavia Butler to Nalo Hopkinson and today's explosion of African science fiction. Rusert—who along with Brown is editing a collection of Du Bois’ fantasy, sci-fi, mystery, and crime fiction—unearthed “The Princess Steel” in one of two archival boxes cataloged only as “short fiction,” and was struck by the range of genres—mystery, fantasy, sci-fi, fairy tales, romance—represented therein. In this and other short stories like “The Comet,” in which a comet unleashes toxic gases on New York City, “you really see that Du Bois was an avid writer and reader of genre fiction,” Rusert says.